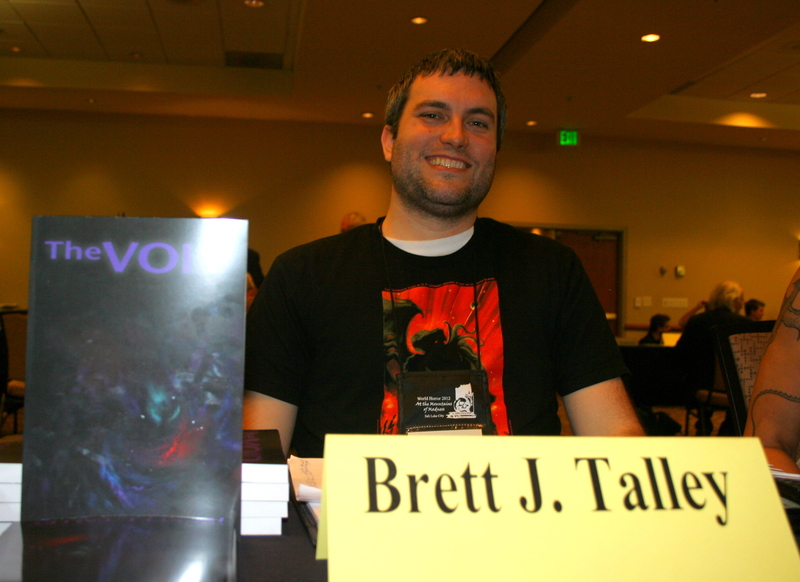 Here are a few pictures from the World Horror Convention last weekend in Salt Lake City, Utah. I didn’t take nearly enough, but these will at least give you an idea of the goings on there. 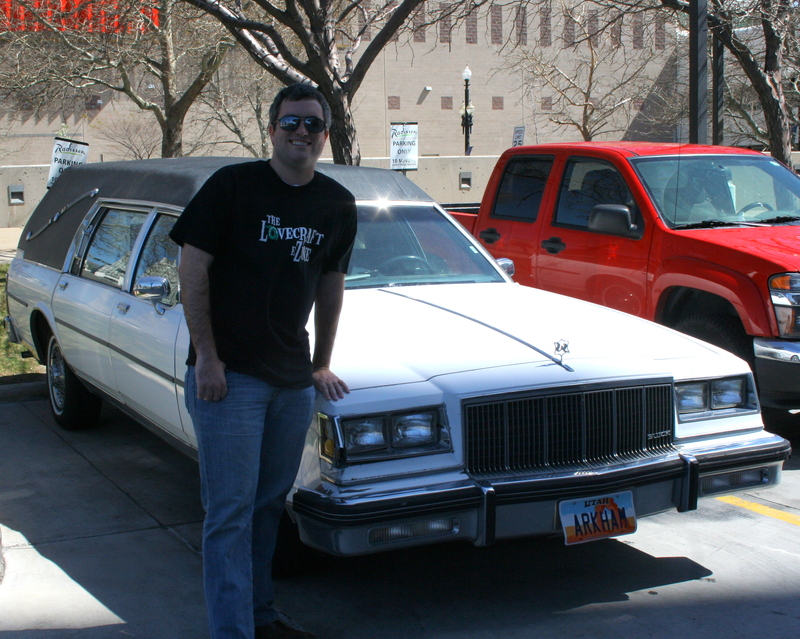 Here I am wearing my Lovecraft eZine t-shirt with a hearse someone turned into their own personal vehicle. The Arkham license plate really seals the deal. 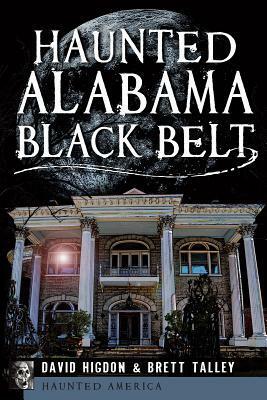 My publisher, Christopher Payne, is nothing if not persistent. 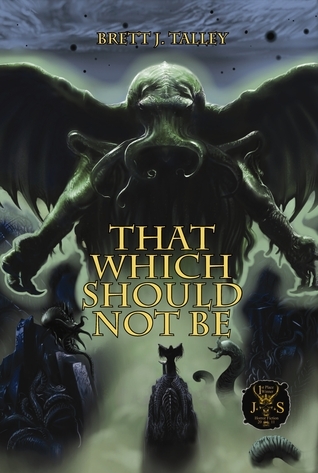 He annoyed at least twenty people into buying a copy of The Void. 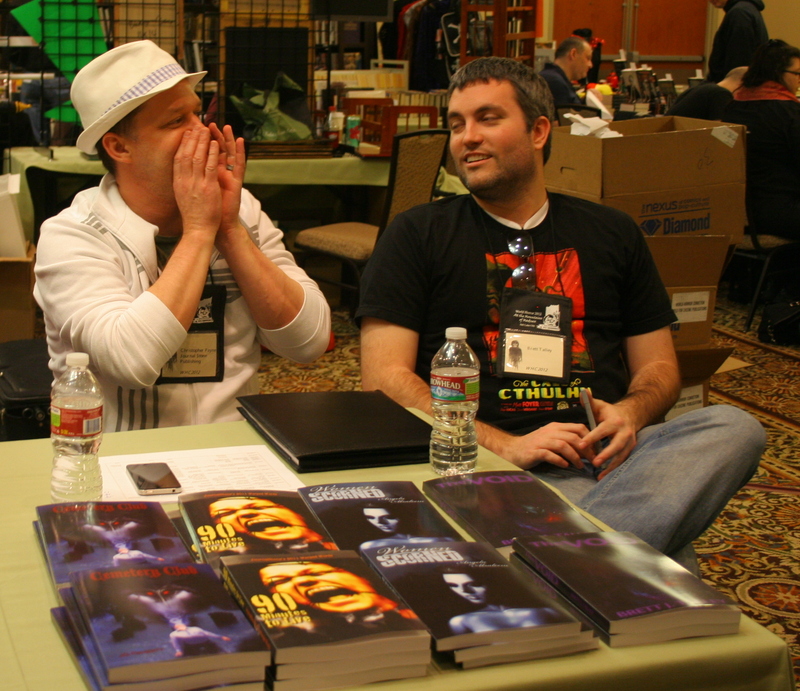 Yes, that is an advanced copy of my next book sitting on the right edge of the table . . .
And here we are making the magic happen. Love the hat. There she is! 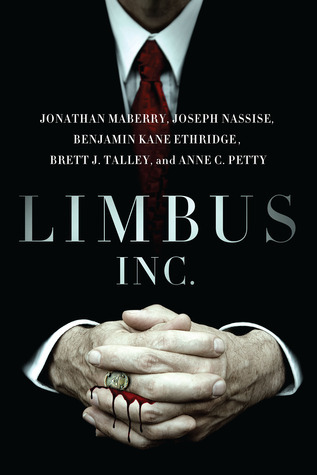 The final version will have a new cover, but that’s not coming out until the summer. 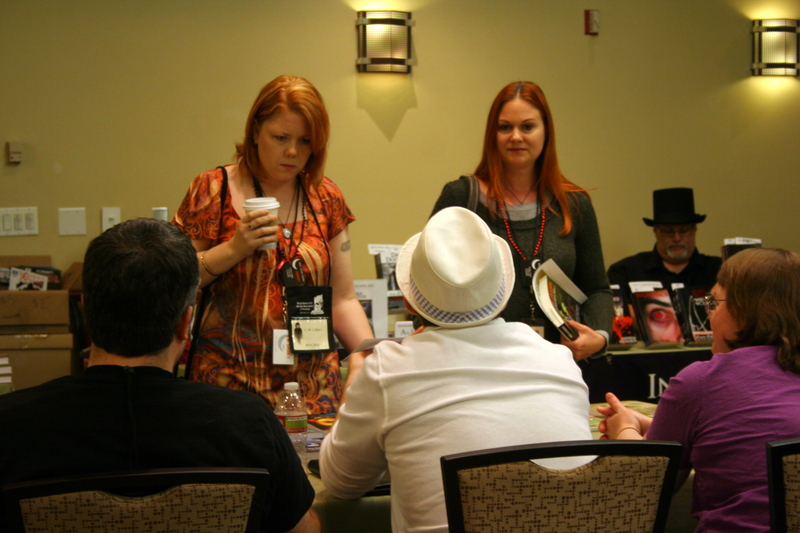 Here I am at the autograph session (note the pen) with Linda Addison, three-time Bram Stoker Award winner and all around literary genius. Buy her stuff, be amazed. 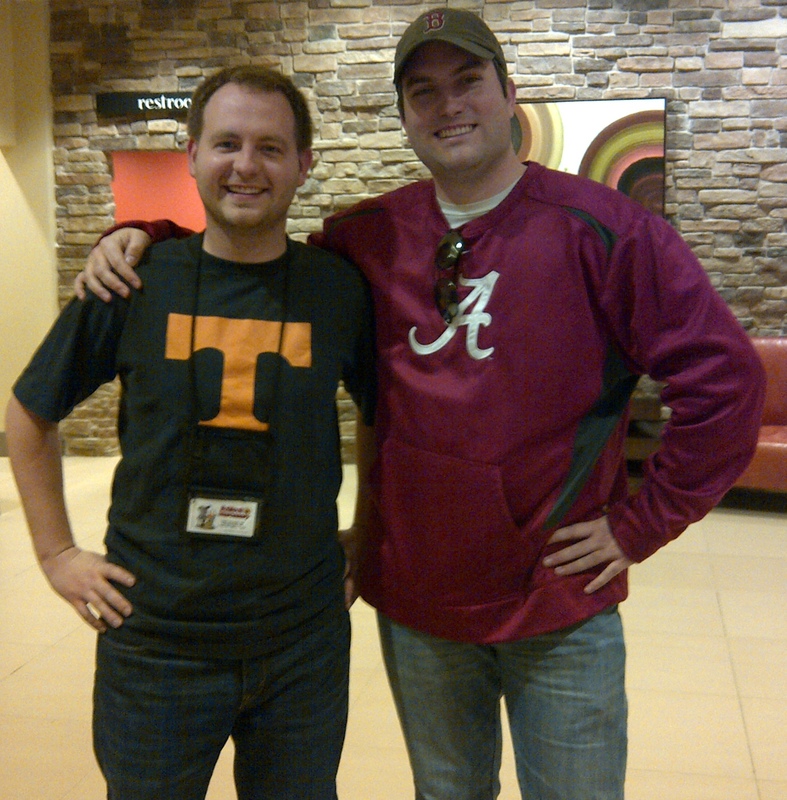 And finally, my favorite Tennessee fan, Brad Carpenter. Brad is finishing up his first novel. You’ll be hearing a lot about him soon. 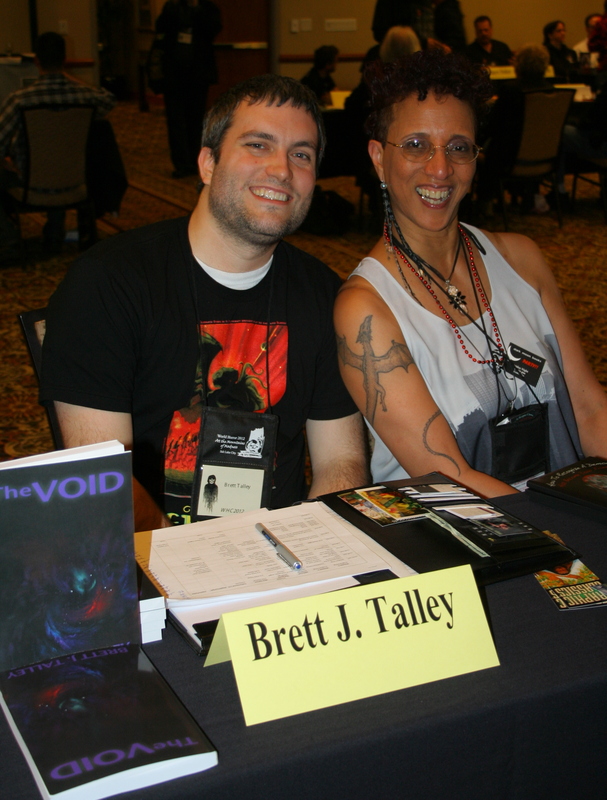 Can’t wait to read The Void!